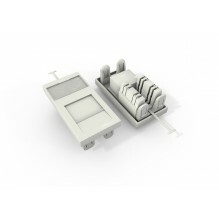 Cat5e compliant Euro (50x25) module. Fully compatible with all UC-Connect faceplates. RJ45 Plastic housing, ABS + PC. Insertion force 900 gm for 8 contacts.